Pep Guardiola is "delighted" by the strength of Manchester City's Premier League defence and believes a win over Chelsea will heap further pressure on Liverpool in the race for the title. City entertains Maurizio Sarri's side knowing victory will bring it level on points with Liverpool at the top of the Premier League, although the Reds will have played one game fewer than the defending champion. Chelsea is fifth on the table, the position it finished in last season just one year after winning the title under Antonio Conte in 2016-2017. 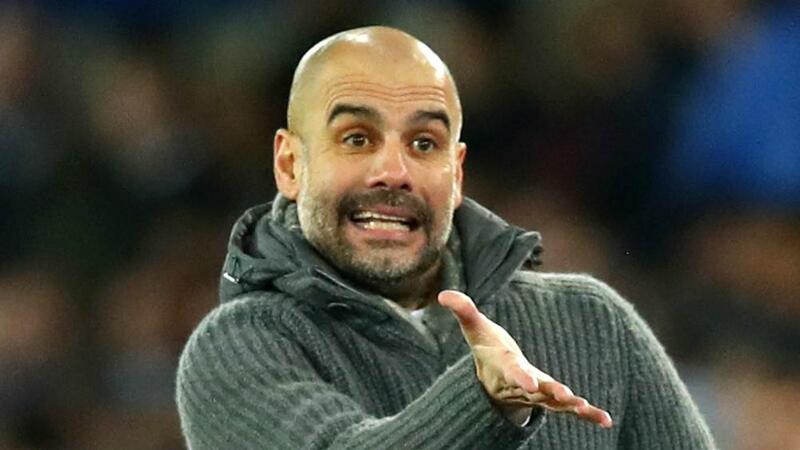 Guardiola expressed his pride at having seen his side avoid the fate that befell Chelsea and others, with Manchester United the last team to successfully defend England's top tier title in 2008-2009. "I know in the last five or six years what happened with the champions the year after, in which position they were," Guardiola said. "All of them, they were out. They did not have a chance in that period to win the Premier League. "We are there. That is one the things I am most delighted about this season." City's four-game league winning streak came to an end when it lost 2-1 at Newcastle United on 30 January (NZDT), but Guardiola insisted the result was not a reflection of complacency among his players. "When the people say, 'You underestimated Newcastle', No, no," he said. "You don't underestimate anyone if you are in the final of the Carabao Cup again and you are in all the competitions and fighting. "The previous seasons, Leicester [City] and Chelsea and the other ones – no chance. We are there. "We want to be there until the end. [Sunday] will help us. If we are able to win the game I am pretty sure until the end we will be there fighting to be champions again." Guardiola dismissed suggestions that Liverpool failing to beat Leicester and West Ham United before overcoming Bournemouth on Sunday (NZDT) displayed that Jurgen Klopp's side had lost its edge. "I don't know how you connect a lack of mentality with dropping four points, two draws," the City boss said. "I don't see the connection. "Maybe they dropped points because Leicester did a good job and West Ham — it's always difficult to play against Manuel Pellegrini."